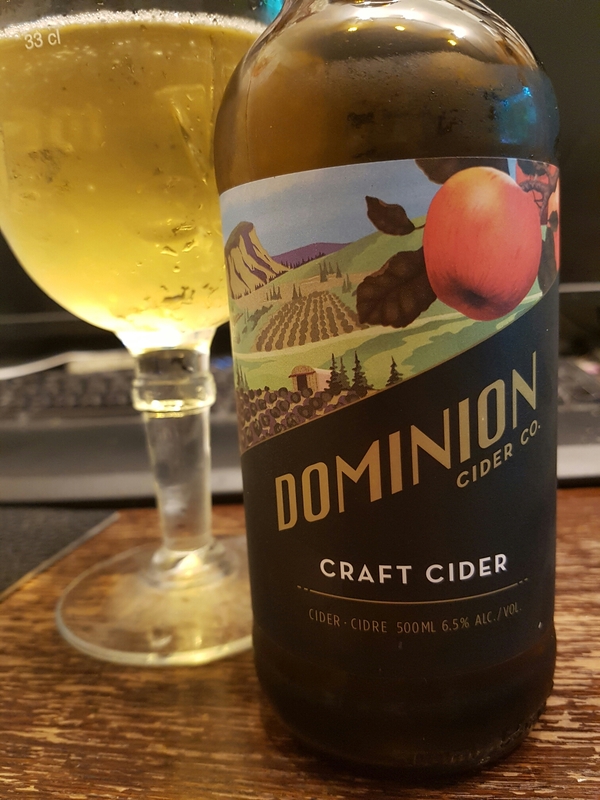 Craft Cider – Dominion Cider Co. (Summerland, BC, Canada) | Justintoxicated. “Small-batch craft cider made with heirloom apples in Summerland, BC. 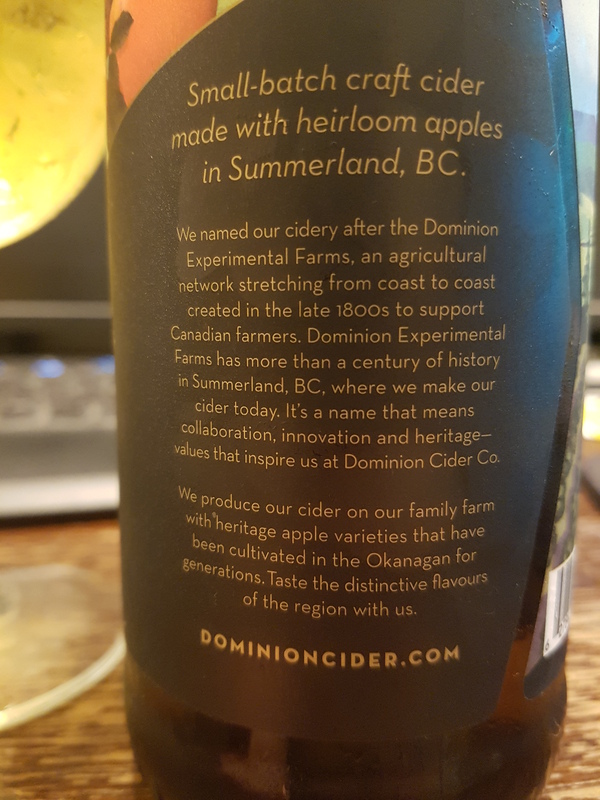 We named our cidery after the Dominion Experimental Farms, an agricultural network stretching from coast to coast created in the late 1800s to support Canadian farmers. Dominion Experimental Farms has more than a century of history in Summerland, BC, where we make our cider today. It’s a name that means collaboration, innovation and heritage – values that inspire us a Dominion Cider Co. Visual: Pours clear light golden yellow with no head, micro bubbles along the perimeter, singular steady streams. Summary: A pretty straightforward and clean red apple cider experience. Underneath the clean flavour there is a touch of apple peel subtlety along with the a sparkling wine-like bubbly acidic backbone. Still, it’s not a cider I will remember.